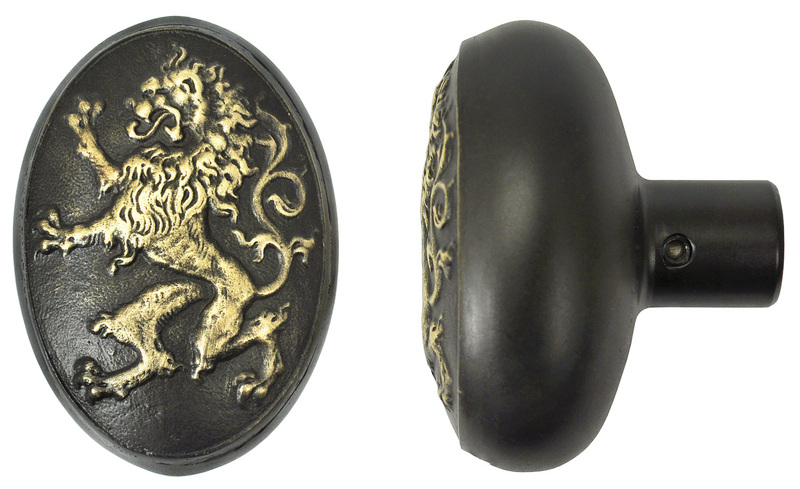 Antwerp rampant lion oval doorknob matches Sargent's Antwerp Lion backplate. A gentleman doorknob collector made this Antwerp set available to us. It was pristine, having been a salesman's sample, still mounted to the display board. We have reproduced it using the lost wax casting method, to enjoy all the details in the original. Cast in solid brass, and toned down to an "antique" finish. NOT something you'll find at the local hardware megaplex! Perfect for an English Tudor, Victorian, or Edwardian period home - or a touch of whimsy for your cottage. Consider this with our massive MGM door knocker ! 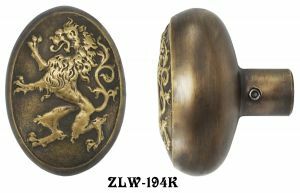 The Lion doorknob is sold by each. 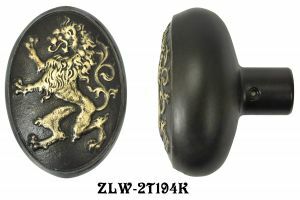 To create a full set, order two Lion doorknobs, and the connecting doorknob spindle . For extra thick doors, you may purchase an extra long square doorknob shaft spindle separately, which may be trimmed as needed. How far from the edge of the door is the center of your doorknob? Thisis the backset, and determines which latch or mortise lock you use. Fora 2 3/8" backset, we offer a tubular latch , and a privacy tubular deadbolt latch option. Very narrow panel doors or doors with lots of glass may need a 1 3/8" backset passage latch . 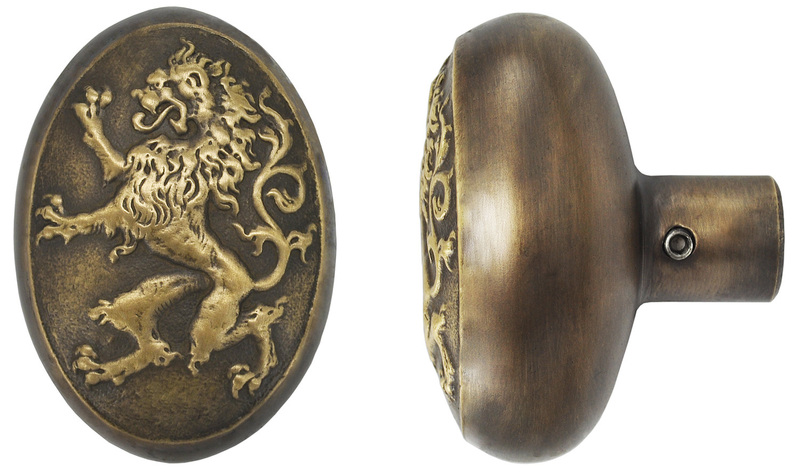 To match this doorknob, order the Antique Brass finish.